A novel of violent magic, intrigue, and statecraft. Ghosts in the Yew is the story of four people who are banished beyond the edge of the map, to a land of gnarled forests, ancient magic, and the site of a terrible murder. Their struggles to survive will put them at odds with their families, their nation, and the very powers that shaped the world. The dark forest hid them from their destroyers. The matriarch of the forest wept a century at their murder. The priests rewrote the songs and rhymes until the world forgot them, and the conquerors abandoned their watch. But then it happened that the Zoviyan Empire - bloated by its centuries of glut - sent the last thing it should have into the trees. Ghosts forget nothing, and when the blood of their enemy walked beneath them, they woke, their revenge at hand. I know we all have opinions, and mine is that Ghosts in the Yew is very nearly perfect. The storyline is the exact combination of political intrigue, action, blood and gore, supernatural, romance and adventure that I hope for. I love the town building element, all of the craftsmen and planning and laying out of the town, convincing the merchants to come in, made it more realistic and enjoyable for me. The characters were realistic, flawed, and they grew and evolved over the course of the book. Narrators can sometimes either make or break a book, and these did neither, which is good. I was not familiar with any of them, but would not hesitate to listen to any of them again. The only complaint I can find with the entire production is the editing, some words seemed to be clipped off at the end, maybe a breath or two heard that shouldn't have been and some paper rustling at one point, but certainly nothing to prevent it from being immensely enjoyable. 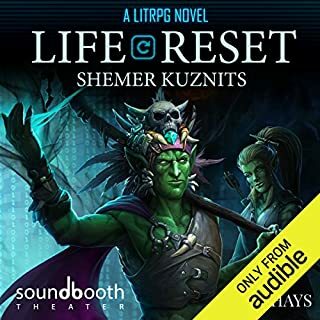 I am anxiously awaiting, and hoping, for the next one to be released on Audible!! I will add Mr. Hausladen to my list of favorite authors, and hope that he is prolific! The beginning started slow but progressed nicely and I really got into the story! Awesome narrators!! The print edition is one of my favorite books. It holds a special place in my heart because even though I despised one of the three main characters, I still thoroughly enjoyed the book. It takes incredible talent to write a character who I actively hate and yet am still interested in reading. Please do not get me wrong. The story, world building, and sheer character of this book is amazing. But I hated the main character, didnt really like the secondary character, but respected and thoroughly enjoyed the Leger’s journey. But here is what I loved. They felt alive, they felt real. With actual character, thoughts, emotions, and drives of their own. That was just the print version. 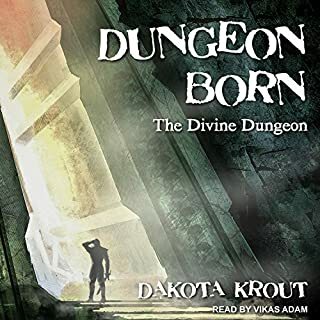 I have to congratulate the author and cast in this audio book. Highly recommend you listen to it. Why? Because all of my points above... fresh life was breathed into them. First time I heard the main character I groaned. That was exactly how he would sound. Pompous, arrogant, and asking to be shot with a freeze ray. Oh how I enjoyed it. An audible manifestation of this character made my dislike even greater. Clayton does a magnificent job of bringing an unlikable character to life. Next we have Lauren who voices the female protagonist. She brought an unexpected voice to the character. I had read the character in a very different tone. But I like this version and the flavor she brings. Especially when she is reading the dialogue for other characters or her inner monologue. It's hilarious to hear the utter disdain or complete lack of importance they hold to her or her goals. On the same token, she brings added hope and panic to scenes that while already good, are now made better. Specifically early on in the story with trying to find her way on a journey. Now, I actually really liked the two other characters Geart and Leger. The night guard and the new als-men Leger. Leger really drew my attention because he was such a flawed character. Battling a personal curse. In fact, my one issue I had about characters from this story is his battle with his own curse. It would pop up a few times, but more of as a reminder that it existed, rather than a true obstacle. Still very well done. However, hearing the narrator bring those sections to life. I felt his struggle significantly better. 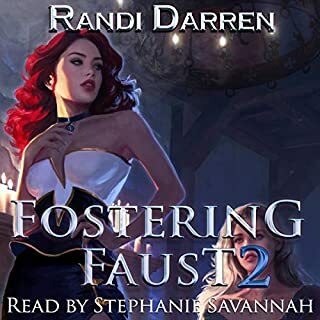 I look forward to listening to the next book in the series with hopefully the same cast. 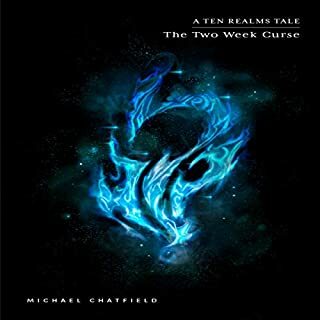 Complex and intriguing, while the story was a little slow getting started the characters grew and grew on me until I was completely intrigued with both them and the story they are involved in. The narration was unique. It was the first time I have heard a narration using different people for each of the main characters. I thought this was very well done and it added richness to the story. 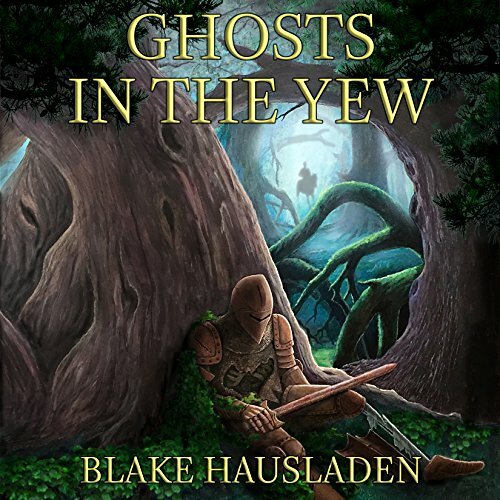 "Ghosts in the Yew", by Blake Hausladen, is an excellent, compelling story. The author has created a cast of richly detailed characters that the reader ends up really caring for. The world building - including the creation of an economy - is fascinating, as is the magic element of the story. I am eagerly looking forward to starting book two! Epic...hard starter but pays in the end. 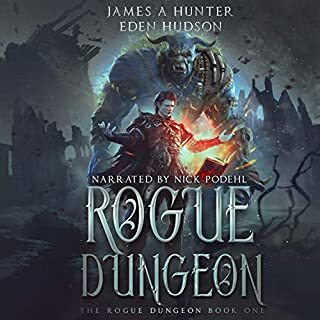 This is a long book but any good epic is, it took some time to become involved in the story and i almost gave up...i'm glad i didn't. For those with patience it's worth the credit or even cash purchase, for those with no patience move on...this is the kind of book that requires an investment of time on the reader's part before it comes together...for me anyway. I got to chapter 11 before deciding that I was I was not emotionally stimulated by the characters or story. The prose is good and descriptive, but nothing hooked me, unfortunately. What did you like best about Ghosts in the Yew? What did you like least? What was one of the most memorable moments of Ghosts in the Yew? Could you see Ghosts in the Yew being made into a movie or a TV series? Who should the stars be? The Narrators ! The story is interesting and i enjoyed it very much. But the narrators performance is pretty bad. 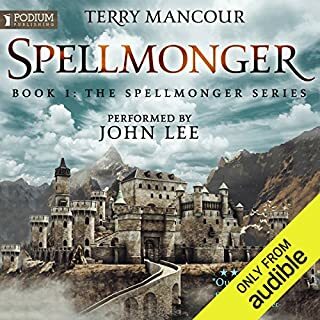 the female narrator inflects every 3rd word and her male voices sound like she is making fun of a male voice than an interpretation of a character. 2 of the 3 male narrators cant follow the highs and lows of the book and cant pass on the feeling of the more intense parts. it sounds like their first time narrating.Im sorry if this sounds harsh But I have heard worse. Was Ghosts in the Yew worth the listening time? Bad Narrating aside , Yes it was a good story and worth the time.